Struck by its interesting title and the fact that I had never read a sinological study published by Baylor University Press, I was intrigued to read and review this book. It is comprised of twelve essays—seven by Western scholars and five by Chinese—that address the general topic of translation into and out of Chinese and English, covering everything from ancient Daoism to Shakespeare to Buddhism to James Legge to Ezra Pound, and including several that do not fit under the title at all. Yes, it’s all over the place. The editors make clear that they are as interested in issues of cultural transmission via translation as they are in language questions—for better or worse; this approach perhaps explains one puzzling sentence in their introduction (pp. 6-7): “None of us among the Western scholars can claim to be professional sinologists—but that may be a strength as much as a weakness.” Given the theme of the volume, I, for one, could not fathom how lack of expertise in the volume’s titular subject matter could ever be construed as “a strength,” but let us see what ensues. The technical apparatus in this volume is a bewildering mishmash of three or more Romanization systems for Chinese and of simplified and standard Chinese characters. This chaos is only likely to bother those of us who profess to know Chinese, but it does reveal a cavalier attitude on the part of the editors—for any graduate student worth his or her salt could have fixed all the Chinese errors in a few hours. The first essay by David Lyle Jeffrey of Baylor University examines Scriptural influences in James Legge’s translation of the “Shi-jing” (Classic of songs/odes). Not being a “professional sinologist,” Jeffrey makes an assortment of odd statements. He fails to note, for example, that the “Kong-zi” mentioned in his article several times is none other than Confucius. The chapter includes as well a number of grating translations from the Hebrew Bible given in both Hebrew and the King James Version translation (one wishes Jeffrey’s would have used Robert Alter’s far superior translations to KJV). And, in a volume dedicated to language and translation, one would not expect basic errors such as that on p. 20, where one of the most common words in the Hebrew language, davar, is written backwards with two of its vowels missing. In any event, why so much Bible in an article about Legge? Jeffrey argues that underlying Legge’s every assumption was a rigorous education in Scripture, but while the education part is true, there is no direct evidence of its immediate impact on his translation. Thus, we get a lot of words like “probably” and “certainly” and “may have” and “seems” and “presumably” and “perhaps.” This connection may, indeed, be true, but just one or two pieces of evidence would have been more than welcome. The great Swedish Sinologist Bernhard Karlgren (whose name is consistently misspelled *Kalgren) is mentioned several times to make a point about language shifts in the Shi jing, but how does someone who does not know Chinese understand the intricacies of ancient Chinese grammar—a subject, incidentally, that Karlgren revolutionized? There are so many mistakes in the Chinese that I would have to conclude that, in this instance, the author’s not being a “professional sinologist” was not a strength. Jeffrey’s assertion—couched in the now familiar language of “may” and “possible”—that between Hebrew shir (שיר song, poem) and Chinese shi 詩, we may have a loanword, cries out for critique, for he fails to say which direction the loan went, how the reconstructed ancient forms of both words would have sounded, and most important: how any of this could have been possible (and by what route?). And, here again, the lack of Sinological familiarity is glaring: Jeffrey never questions the translation of the Chinese term shi as “poem,” a point that Stephen Owen, the greatest living scholar of the shi, who is mentioned in the first sentence of this essay, has been making for decades. The next essay by Erik Ziolkowski of Lafayette College offers what might have been an interesting exercise: comparing Hamlet, Don Quixote, and Xi you ji 西遊記 (Journey to the West). The link is the presence in each of a “tale within a tale.” There are some systemic difficulties sidestepped, such as the fact that Hamlet is a play of modest length, while Don Quixote and Xi you ji are both massive novels. The author notes that they were all completed within a relatively short span of time (late sixteenth to early seventeenth century), but he is also honest enough to note that they “came into existence in complete cultural isolation from each other.” Nonetheless, he apparently can’t resist making the vague suggestion of a universal axial age in this era that spawned a widespread literary convention. How? With the wealth of literary criticism available on Xi you ji, it is unfortunate that Ziolkowski cites only the work of Anthony Yu, the great translator and critic, again making egregious the volume’s lack of Sinological expertise. My larger question for this chapter is, what does any of this have to do with the putative theme of the book: translation between China and the West? Granting a shared “tale within a tale” motif across cultures, what does that tell us, especially if there is no way to demonstrate influence or interaction? John T. P. Lai (Chinese University of Hong Kong) certainly can’t be accused of ignorance of Chinese. In his essay he examines the partial translation of Xi you ji by the well-known missionary Timothy Richard in the early twentieth century. Richard did not exactly render the title literally, but as A Mission to Heaven: A Great Chinese Epic and Allegory—and therein hangs a tale. He saw the Mahayana Buddhism that undergirds the entire story of Xi you ji as a form of Christianity. This argument is, of course, utterly insane, but it does offer an interesting insight into the levels to which devoted, missionizing Christians of the day might go to spread their beliefs. It strikes me as a kind of counterpart to Chinese theories that all Western ideas and cultural innovations came originally from China. At best, such ideas are now curiosities, telling us much more about men like Richard than anything in the text he was working on. Lai shows how Richard linked all the important Buddhist references in the novel to Christian entities. One example, a radical one to be sure, was Richard’s rendering of the Buddhist notion of Tripitaka (three baskets of scriptures) as “a Sacred Book”—this is more than an overdetermined translation; it’s an out-and-out purposeful mistranslation. Lai writes: “This translation might even convey the message that a single sacred book would suffice for the governance of all the heavenly and earthly realms.” I would agree and add that it’s more importantly a fabrication, apparently dictated by Richard’s overweening Christian faith. Elsewhere, Lai is quick to note Richard’s Christian sleight of hand: for example, Xuanzang = Paul (and even Christ, which Lai correctly calls a “manipulative narrative”); or the assertion that Mahayana Buddhism = Nestorian Christianity. Here, Lai lets Richard off the hook by calling this a “provocative interpretation”; that it is, to be sure, but it is also inane. In the end, Lai goes through gyrations to allow sufficient latitude for Richard’s translation to stand—unindicted. He even suggests that Richard gained an “appreciation” for Buddhism via Christianity and the latter was “also reshaped in the process of his intense encounter with Buddhism and other Chinese religions.” There is no way to know this, but to assume it or even intimate it strikes this reviewer as dubious at best. As noted, this essay not only is rooted in a knowledge of Chinese culture and Buddhist concepts, it also engages a certain amount of relevant Chinese-language scholarship on the subject. It is marred somewhat by an inexplicable confusion of three Romanization systems (pinyin, Wade-Giles, and apparently Richard’s own). For those blessed with the advantage of no knowledge of Chinese, this would not be a concern, but not so for those of us interested in the topic. Trevor Hart, a professor of divinity at St. Andrews University (Scotland) and actually a parish priest, is among those blessed in this sense. He offers a critical look at Legge’s 1880 volume The Religions of China. Hart notes up front that, yes, Legge was an astoundingly productive translator, but “we do him no justice, nor any favors, if we forget that the translations on which his reputation largely rests were undertaken as a subsidiary activity alongside (and ultimately in the service of) his ministry as a pastor and a preacher.” This was highly refreshing to read one-quarter of the way through the volume. He informs us, though, that Legge understood Confucianism not just as the ideas of Confucius and his followers, but “for the wider tradition of China’s ancient religion dating back five thousand years BC.” Something is terribly wrong here with the dating, but it is unclear where to start. Nonetheless, Hart asks the important question right off the bat: How did Legge reconcile his views of “Chinese religion,” pro and con, with his own faith and work as a missionary. Was he prepared to say that several hundred million Chinese were acceptable in God’s eyes as they were, without need for conversion, or was their faith (however defined) sufficiently heathen to necessitate conversion? And, if the Chinese did not require conversion, how did Legge rationalize this conclusion via-à-vis his Christian faith? These questions may be of considerably less importance now than they were in Legge’s day, but they must be asked. Perhaps his understanding of Confucianism could be folded into a wide-tent Christianity. Hart quotes from Legge’s book to demonstrate that Legge was open about this dilemma: “the more a man possesses the Christian spirit, and is governed by Christian principle, the more anxious he will be to do justice to every other system of religion, and to hold his own without taint or fetter of bigotry.” Very nice sentiment if rarely exercised in practice over the past 2000 years. Especially interesting, though, is Hart’s citation from Legge in later years when he had come to see that Christians could learn a lot from Confucianism and could practice their own faith by not abusing the Chinese belief system. Any hope that the essays by non-native speakers would pass under the red pen of an editor are crushed as one moves to the essay by Zhao Jing (a recently minted Ph. D. from Renmin University), which is comprised of a comparison between the “Preface” and the “Introduction” to Legge’s translations of the major Daoist texts. We learn from back matter that this chapter was translated from a 2011 essay published in Chinese, but we do not learn who the translator was. Again, for reasons unstated, the Romanization systems are chaos—a mixture of Legge’s idiolect and pinyin, with a dash of Wade-Giles—and for an equally inexplicable reason, the nineteenth-century Chinese citations are in simplified characters (which did not even exist at the time). This would be like “quoting” the founding fathers in the language of hip-hop; it may work on the stage of Hamilton, but not in scholarship. Early on, Zhao cites the exact same passage that Hart does on the possession of “the Christian spirit,” but repetition does not make it any truer. While acknowledging the many Chinese commentaries Legge consulted while preparing his translations, Zhao attributes to the absence of Chinese assistants the relatively lower quality of Legge’s translation of the Zhuangzi to that of his Laozi. Apparently, Legge’s assistants in translating the Confucian Classics were unavailable when he turned to Daoism, which Zhao laments: “[W]e as readers would benefit greatly had there been assistants working alongside Legge to discuss and inspire.” If the goal of his research is to find a competent and inspiring English Zhuangzi, perhaps Zhao should consult Burton Watson’s magisterial translation. There are other infelicities—the translator and editor failed to catch so elementary a point as a reference to the great historian Sima Qian by his given name alone. I also was stunned to see Sima’s great Shi ji (Records of the Grand Historian) referred to as a “somewhat orthodox account.” I’m frankly unsure what that means. B. H. McLean (University of Toronto) addresses the work of missionary-translators other than Legge, principally Walter Medhurst’s Christian reworking of the Three-Character Classic (三字經) and Sophia Martin’s Three-Character Classic for the Instruction of Young Ladies (訓女三字經), both of which preceded the Treaty of Nanjing, and McLean’s essay has the additional strength of actually addressing specific issues of translation. The essay starts off well with some background Sinological information and then quickly runs aground when McLean identifies the Four Books incorrectly; he actually only gets one of them right (Analects). There is no crime in making a mistake, though, again, one would hope such an elementary error could have been caught somewhere along the editorial trail. Nonetheless, McLean still has some interesting things to say. Needless to say, Medhurst was planning to turn the Three-Character Classic into a Christian tract; what’s interesting is the legerdemain used. For example, how to render the all-important term for “God,” which McLean tells us is “Elohim” in the “Old Testament” and theos in the New. Actually, “God” is rendered in a number of ways in the Hebrew Bible; “Elohim,” of course, first appears as the third word of Genesis, but the most famous and by far the most frequently recurrent name for God is the unutterable Tetragrammaton, which appears 6,828 times in the entire text and is usually articulated as “Adonai” (lit., my Lord). Medhurst would be the first to use shangdi 上帝, which, as McLean notes, has fecund resonances with Chinese folk religion and mythology. This was an innovation; Robert Morrison had earlier opted for shen 神, which others would later stick with. In his analysis of the opening lines of the Three-Character Classic, McLean points out that Medhurst renders 自太初・有上帝 as “In the beginning, there was the highest God.” There are the obvious ties here to both the Hebrew and Greek bibles, but McLean does not comment on where Medhurst might have come up with “highest.” Admittedly, every translation is an interpretation—at least, in part—but, having just established that shangdi was the translation for “God,” there is no mention in the text of levels of elevation. Martin’s text was not strictly speaking a translation but a reworking of the Three-Character Classic for girls and young women. McLean notes that the title contains the term xiaonü 小女 (“young ladies”), but it clearly doesn’t, which is a bit confusing. China had a long tradition of instructional manuals for young women, which McLean runs through quickly, and he states that Martin “probably” modeled her work in this long filiation, but there is no proof of this from the text—though maybe from the title. Martin’s work was a Christian missionary work, not a Confucian teaching manual. There are a couple of extraordinary errors, one of which would likely embarrass a professor of the New Testament. One line of Martin’s text reads: 無何處・其不看, which McLean renders: “There is nowhere to dwell that God does see.” First of all, “God” is not mentioned anywhere here, though clearly the line refers implicitly to the Deity, but more important, the negative is missing: “There is nowhere to dwell that [God] does not see.” On one occasion kuai 塊 is mistranscribed hun in the terms kuailing 塊靈 and lingkuai 靈塊 (both rendered “soul(s)”). There are few other Sinological infelicities, but for someone who we have been told is not a “professional sinologist,” I was impressed by the attention to detail, even if this was with help from an assistant. Elizabeth Jay, formerly professor of British literature at Oxford Brookes University, stakes out her approach clearly in her first sentence: “This paper is premised on the argument that the way in which British sinologists conceived of China and the Chinese had more to do with the social structures and ideological debates of nineteenth-century Britain than with any great degree of interest in, or familiarity with, the contemporary culture variations and ethnic diversity to be found throughout China’s vast territories.” I, for one, certainly appreciate the straight talk approach here, but for a newby (“non-professional”) in this field, how can she have known enough herself about China to make such a claim about the British scholars? How would familiarity with contemporary China’s “culture variations” (whatever that might mean) and ethnic diversity have enhanced research on much earlier Chinese literature? Does knowledge of contemporary British literature or the South Asian community in London enhance a reading of Shakespeare? The central figure here is the great Sinologue of the turn of the last century, Herbert Giles. Jay faults Giles for having, in a work of 1911, chosen to write only about China proper, thereby excluding Mongolia, Manchuria, Tibet, and other areas (Jay does not note these areas were only parts of “China” because they had been conquered by the Manchus). She scolds him for thus reducing China’s “cultural diversity,” but it actually puts him squarely in the center of contemporary debates concerning China’s cultural and political imperialism in those regions which is slowly, but surely, destroying those local cultures. Nary a Tibetan would disagree with Giles nor welcome Jay’s sensibility that this enhances the ethnic diversity of China. The principal work by Giles discussed here is his now classic A History of Chinese Literature of 1901, although there are more asides than direct analyses of this text. Jay clearly does not like Giles’s penchant for telling it like he saw it and thus revealing what she takes to be snide, condescending British commentary. Needless to say, such commentary would be unacceptable, possibly career-ending, in our present snowflake age of political correctness. Yet, after reading all the earlier British efforts (by Legge, Medhurst, Richard et. al.) to square the Bible with the Chinese philosophical tradition (by finding Christianity in the Chinese tradition or using Chinese forms to spread the Gospel), Giles’s frank repudiation, especially of the entire missionary venture, was hugely refreshing. He may go overboard at times, but given the enormity of his knowledge of Chinese literature, Giles ought to be given a wide berth in his judgments on Chinese literary production. As she notes, Giles spent twenty-six years in the foreign service in China, and he knew the language and culture as well as any Westerner then alive. He also knew and reviled the missionaries in China, which did not make him any friends. One interesting case in point is noted regarding Giles’s take on the Yi jing (Book of changes). In his typically straightforward manner, Giles opined: “no one really knows what is meant by the apparent gibberish of the Book of Changes.” Jay contrasts Giles’s withering assessment to a brief 2012 survey of Chinese literature, praising the latter for being “throughout informed by a radical sense of the difficulty of deciphering the meaning/s of texts from previous civilizations.” Asking Giles to somehow measure up to contemporary norms is completely ahistorical. He wrote his survey over a century earlier and, not surprisingly, with no early twenty-first-century concerns or sensibilities. And, scoffing tone aside, there is more than a small measure of truth in Giles’s assessment. Jay seems especially perturbed by Giles’s consistently negative portrayal of Christianity, as he apparently never missed an opportunity to vilify a missionary. When Giles introduces the Confucian form of the Golden Rule—do not do to others what you would not want done to yourself—he takes the opportunity to castigate Christianity’s patronizing sense that only the positive form of the Golden Rule is worth consideration. Jay then launches into an astonishing defense of Jesus himself and an attack on Giles for being insensitive and reductionist. One of the most interesting sections of her essay is a brief aside on Giles’s second wife, Elise Edersheim, who wrote under the name Lise Boehm. Like her husband, Edersheim excoriated Protestant missionaries in China, indeed the entire British expatriate community there, and Giles admitted that she read and reviewed everything he wrote. This would make a fascinating study—Edersheim herself or the husband-wife relationship and collaboration. David Jasper (University of Glasgow) brings together the two main British translators thus far, Legge and Giles, to address a text they both sought to translate—a text whose title is mentioned nowhere in this essay: Foguo ji 佛國記 (A record of Buddhist states) by Faxian 法顯. Faxian traveled on foot in the early fifth century to India and many other countries en route, before returning mostly by ship. Legge rendered the title A Record of Buddhistic Kingdoms, while Giles gave it as The Travels of Fa-hsien (399-414). Jasper notes that there was an earlier translation into French by Abel-Rémusat, although he introduces it by the subtitle rather than the proper title of the French work. He mistakenly asserts that “Fa-hsien had first been translated from Chinese into French”—there was an eighteenth-century Japanese translation and perhaps earlier ones as well. This points to a giant blind spot in this volume—that Japan is almost completely absent. Why would Japan be important in a book (mostly) about translation concerned with China and England? Because many translators made use of earlier Japanese translations—even if they had only an imperfect knowledge of Japanese—and because traditions of Sinological learning were many centuries old in Japan by the time the Europeans found their way to a Chinese text. Jasper, for example, does mention that Legge got his hands on a superior copy of the Faxian text in question from “his friend Bunyiu Nanjio.” This would be, in contemporary transcription, Nanjō Bun’yū 南條文雄, and it would have been really interesting to learn more about both Nanjō himself and the nature of their friendship. It should be noted that Faxian’s work is an especially difficult text to translate, and it takes a certain amount of chutzpah to retranslate a work less than a decade after one first appeared in English. In fact, as Jasper points out, there was an even earlier English edition of the work by Samuel Beal, which essentially just translated Abel-Rémusat’s French. Ultimately, Jasper prefers Legge’s translation to that of Giles. There is a definite predilection in the volume to prefer Legge to Giles—not a bias per se, but certainly a disgruntlement with Giles’s grumpiness and his utterly dismissive attitude toward the entire missionary enterprise and its human actors. As a card-carrying Sinologist, though, I wondered while reading this essay how anyone could write about two competing translations of a Chinese text if that person did not happen to know Chinese, and in the case of this text, know Chinese extremely well? We now turn to several essays by people who actually know Chinese. I admit to having effectively exhaled in relief when I saw the names of three China-based (Renmin University) scholars as the authors of the next three essays. Geng Youzhuang examines Ezra Pound’s “translations” of Chinese poetry and the Confucian Classics. These works have troubled, mystified, even profoundly annoyed scholars in the China field—if for nothing else than how to categorize them. Geng admits up front that Pound never acquired a sufficient degree of Chinese to be qualified to translate anything from that language. This has, of course, never inhibited anyone from doing so, as the contemporary case of Stephen Mitchell amply demonstrates. However, while Pound’s Chinese may have been wanting, if not grossly lacking—and Geng offers some fairly damning evidence—he seems to find value in the results, which he admits Pound cobbled together from others’ translations: “[H]is translation and creation—the ideogrammic method—produces at once the most creative and beautiful and the most arbitrary and absurd rendering of ancient Chinese poetry and philosophy.” He also cites the great scholar Qian Zhongshu, who dismissed Pound as barely a rank amateur. 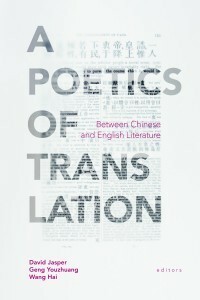 Having accumulated such a storehouse of negative criticism from people in the know, Geng nonetheless argues that such an assessment is rather passé; for a younger generation of Chinese:“the cultural influence of Pound’s translation of Chinese poetry is a great achievement, and his literary misreading and mistranslation of Chinese characters and words is less important when seen in this light.” I am not sure what “this light” refers to, but I think Geng would like us to separate Pound’s work (which Pound claimed to be translation) from the putative source texts. That is an odd way to approach classical texts. I wonder how our Anglophone authors in this volume would have felt if Pound rendered the first line of the Bible as: “The Big Guy up there created everything above and below when he got it all started.” In a comparative example of a Han-dynasty poem, Geng places Giles’s translation next to Pound’s—you don’t need to know Chinese to see that Pound simply stole material from Giles. Despite this, Geng distinguishes “translating factually and translating poetically,” to which I would add “translating thievishily.” And, Geng goes to great lengths to assess how Pound came to the translation he constructed, but the level of Chinese needed to do this would seem to contradict what Geng earlier said was precisely what Pound lacked. Geng offers several more examples, all fraught with similar issues, but the point has been made. He seems especially to admire Pound’s “love” of Chinese culture. I wonder what would have been the author’s response had Pound known Chinese better but didn’t much like Chinese culture. Wang Hai begins his essay be rejecting what he takes to effectively be a reigning paradigm in Western thinking about the classical Daoist texts—namely, that they represent a dualism with Confucianism of high antiquity. Where Confucianism stresses the importance of the scholar’s involvement in governance, Daoism endorses a kind of purposeful passivity. He argues that one of the central Daoist tenets, wuwei 無為, actually comprises a “radical passivity.” To better understand this idea, he brings into the discussion the French thinker Maurice Blanchot’s notion of désoeuvrement. What any of this has to do with translation between Chinese and English literature, the putative principal theme of this volume, remains a mystery. And, incidentally, Blanchot never wrote anything about Daoism whatsoever nor made any reference to it. There are numerous names dropped in this eight-page essay and a great deal of rhetorical confusion (at least to this reader). Despite Blanchot’s never having commented on Daoism, Wang concludes: “Through Blanchot, we are able to perhaps not only rediscover wu wei’s radicality but also revive it as a contemporary idea with much more explanatory power dealing with the crisis of modernity and our contemporary issues.” Well, maybe, or maybe not. We return to this book’s central theme with the next essay, by Yang Huilin, concerned with Chinese translations of Shakespeare’s difficult play, The Merchant of Venice. Arguably the most troubling play in the corpus of the greatest playwright in the English language, and classified as a “comedy” in that corpus, Merchant was one of the first plays to be translated into Chinese (and, incidentally, Japanese as well). Yang shows that all the early Chinese renderings both praised Portia, the cross-dressing lawyer, and mocked Shylock’s self-defense. Yet, the larger theme of Judaism vs. Christianity disappears entirely from these early Chinese versions. While educated Chinese readers would likely have known something of Christianity, they would equally likely have known little or nothing about Judaism. From the various titles of the Chinese editions, the main theme drawn from the text was a “bond of flesh,” Shylock’s condition accepted by Antonio for failure to repay his loan by a given date. Yang focuses on the 1914-1915 serialized version by a missionary named Laura M. White. Yang wisely notes that White would have certainly been aware of the original’s theological undertones and would probably have chosen the text in the service of her missionizing efforts, but she would also have been keenly aware of Chinese sensibilities and would have wanted to appeal to educated Chinese readers at a level to which they would have been attuned. She cut certain sections from the play but also added lines and words to make the dialogue more accommodating to Chinese readers. Yang also shows that, in the section of the play with the three suitors, White transformed the Prince of Morocco’s speech from “lyrical” jesting about his skin color to straightforward language that would make many of us now squirm—although, to be fair, Shakespeare’s original makes me squirm, too. On a more subtle level, Yang demonstrates how White changed the language of the characters in Merchant to push her evangelical motives. He even shows how she slipped some biblical language into the translation where it did not exist in the original. In addition, the highly important love story between Shylock’s daughter Jessica and Lorenzo is thoroughly elided. The upshot is that all of Shylock’s scolding of Christians and Christianity itself disappears as well. Yang argues that the most telling exclusion of original text comes in the play’s denouement when Portia in court tells Shylock, on the verge of exacting punishment for the unpaid loan, that he better not “shed / One drop of Christian blood” or he will lose everything he owns. White just cut the word “Christian.” Yang claims that for Chinese the moral issue trumped the theological one by far. If the goal was spreading the Gospel, then foregrounding the conflict between good and evil was paramount, which justified sidestepping the Christian-Jewish clash at the center of the original. Similarly, when the many Christian characters spew out the word “Jew” with typical venom, White simply erased those places from her translation. Yang points out many similar instances to substantiate his point. It would seem counter-intuitive for a missionary to eliminate such terms and passages, but Yang eloquently makes his argument that White’s overarching aim was to contextualize her translation for Chinese readers and highlight the moral theme of the play over and beyond the distinctly European theological one. There is more to this essay than I have been able to indicate, and Yang also points out that subsequent Chinese translators of Merchant have aimed at much greater fidelity to the original. Yang’s is truly a fine piece of scholarship, the jewel in this collection. When I first read the final essay in this volume by Andrew W. Hass (University of Stirling), I thought I was reading a spoof of the highly theorized style often associated with literary or art criticism. Apparently I was not. Entitled “Translation as Trans-literal,” it has nothing to do with translation as that term is commonly used and nothing to do with Chinese or English literature. It attempts to transcend mere linguistic translation and examine contemporary “radical” Chinese calligraphy: “For what meets the eye in this divide between East and West, or how we are to interpret the visual nature of seeing a language, Chinese and English in particular, is always more than what simple translation—translation reduced merely to semantic equivalence—can bear. Much more. And this ‘more’ requires its own translation, or what we will call its own trans-literation, even if it leads us toward, ultimately, an untranslatability.” I really have no idea what Hass is getting at, but let’s offer him some more rope. A little knowledge may be a dangerous thing, and we see that in spades in this essay. To talk about something as complex as the Chinese language without so much as an iota of knowledge of it requires a level of nerve with which I was stunned. It’s not just references he makes to Chinese characters as “pictogrammatic,” “logographic,” or “ideogrammatic”—ideas which have long gone the way of the dinosaurs. Lacking any knowledge about Chinese, Hass consistently grossly mischaracterizes the language. For example (and there’s plenty more like it here): “By bringing the visual into view, Chinese script redraws the two sides of the divide, for it is no longer merely about a single signification that needs to find two equivalent linguistico-textual markers, and be borne from the one to the other, in a manner that leaves the chasm behind.” One more for fun: “[T]he Chinese script, most would claim, does not visually depict to us a black abyss.” Although I despise the term, this is pure Orientalism. I think what is happening here is that Hass would like us believe that the Chinese writing system does not require processing images, for it takes us directly to those images. This is fairly silly stuff, though I have to admit that I may have missed the point. We soon come to a regular stop on the translation studies highway: Walter Benjamin’s essay, “The Task of the Translator.” Written at a time in his life when his best friend, Gershom Scholem, admitted that Benjamin was, at times, completely incomprehensible, translation studies scholars have returned time and again to this essay and found in its confusing passages pretty much whatever they were looking for. Hass does them all one better and riffs at length on several phrases, arguing that Benjamin was not ultimately interested in “translation,” but in “translatability.” And, as if to prove that he has no idea what he is talking about: “Such translatability (Übersetzbarkeit), itself a term with virtually no clear or suitable translation, carries us into the realm of the mystical—a Jewish mysticism for Benjamin, as informed by Gershom Scholem and the Kabbalah, but ultimately, if we are following the logic of Benjamin’s ‘task,’ a mysticism that exceeds and abandons all specificities, even religious ones.” I’ll grant that he read Benjamin’s essay, maybe more than once, but what any of this has to do with Kabbalah is beyond me. Benjamin was referring to biblical Hebrew, a language he never was able to learn, and the principal texts of Kabbalah—most notably the Zohar—are written in Aramaic. The three artists with whom Hass applies the above all use “Chinese characters” (or fake ones) in their works, and not solely as calligraphy: Gu Wenda 谷文達, Xu Bing 徐冰, and Qiu Zhijie 邱志杰, with a few words at the end on Yang Jiecang 楊詰蒼. All four are, in one way or another, improperly named throughout: Wenda Gu, Bing (as if this were his surname), *Qui Zhijie, and *Yang Jeichang. Hass finds the mystical everywhere—Daoism, Chan Buddhism, Kabbalah, whatever. After absconding on naming himself, à la the Daode jing, what might we conclude from the work of these artists? Hass’s final sentences: “We might call these, provisionally, ‘mystical.’ Or we might elicit the Tao. But these names too we must renounce, for the sake of a still greater translation, which bears an all-important silence.” That last word might have been the best advice before beginning this essay. In sum, these essays are highly uneven. They do demonstrate that good scholars, with (Yang Huilin) or without (Hart and McLean) any training in Chinese, can offer informative insights into translation between Chinese and English literature. Gershom Scholem, Walter Benjamin: The Story of a Friendship, trans. Harry Zohn (Philadelphia: Jewish Publication Society of America, 1981).